As a small but fast-growing startup, we are currently focused on support for iPhone only. When will you offer an Android app? We hope to start supporting selected Android devices in the next year or so. To be notified when Topology is available for Android, please join our mailing list via the simple form at the very bottom of our website homepage. How else can I get Topology Eyewear if I do not have an iPhone? 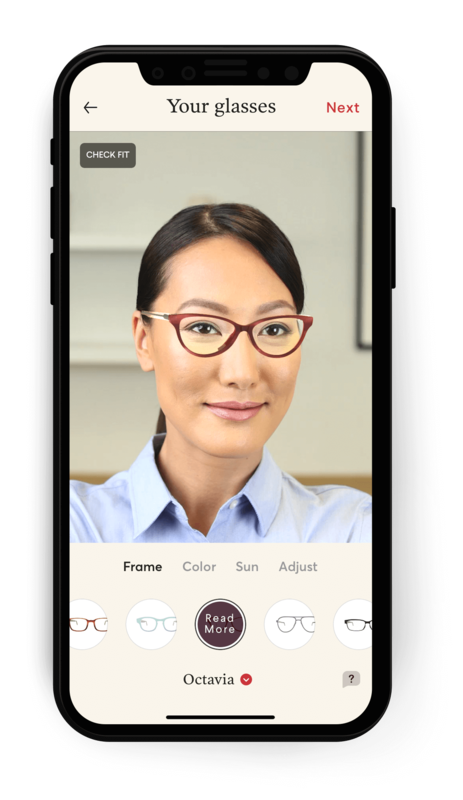 Simply install the free Topology Eyewear app from the App Store, complete your selfie and submit your order. No payment information will be stored on the device, and you can easily delete your selfie or the whole app after completion if you prefer. You are welcome to visit our headquarters in San Francisco and place an order using one of our devices. Our office is open by appointment only, from 10am to 6pm, Monday to Friday at 255 Potrero Avenue, San Francisco, CA, 94103. Please click here to book an appointment.